Happy holidays! 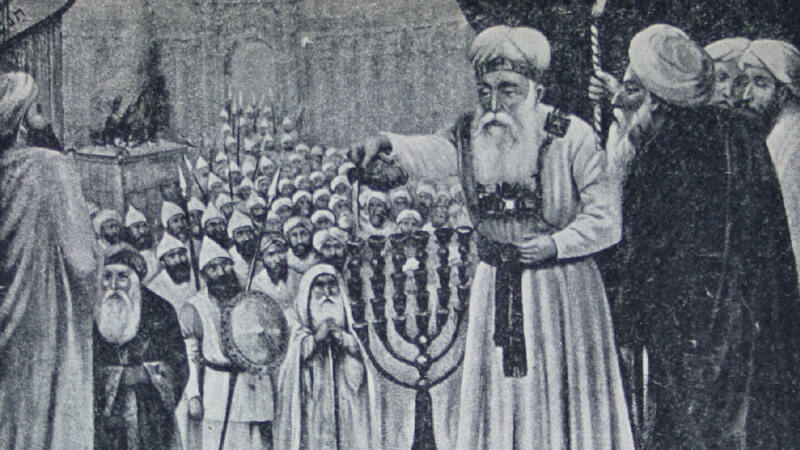 We say “happy Hanukkah,” but the background of this holiday is rather sad and difficult. Our enemies tried to hurt us, to destroy our identity, to break us, to desecrate our holy Temple, but they failed. So we are here to celebrate our existence, the continuity of our identity, and to declare and educate the next generation. What does Hanukkah symbolize? What is the meaning of this holiday? Everything can be taken from a person, you can take his house, fire him from work, hit his car, and tear up his clothes. However, no one can take a person’s spirituality, his inner life; the essence of a man cannot be taken. The Greeks broke into the Temple and desecrated everything they saw. I do not think they intended to destroy it, but rather to defile it in order to remove its spiritual aspect. They wanted the Jews to stop being Jews. The people of Israel have been in a state of catastrophe on numerous occasions, but God always rejuvenates the nation, just like a green leaf that emerges from a severed race. The forces of the people of Israel are not limited to what you see on the surface, all of which a person can take, destroy, defile, break, and win. The secret force of the people of Israel is the God that dwells within them, the spirituality and promise of God which stands forever. The light of the Menorah was the first Hanukkah miracle, today the miracle is the light that remains burning in our lives. The menorah and Hanukkah candles that we light on the windowsill remind us of the miracles of God, and thanks to them and their merit we stand here today as the people of Israel in the Promised Land. Our faith in Yeshua our Messiah makes us under His command and enables us to be used as His lamp so that we, similar to the menorah, can sit on the windowsill and show the world that there is hope, there is a way, there is light, and there is truth. An improper student speaks of a person who does not behave well in the Land of Israel and therefore he is not able to be accepted at an institution for Torah studies. Here’s the surprise:such a person should receive an extra dose of Torah in order to educate him in good virtues, should he not? The answer is that a Torah student, if he has no way of life, desecrates the name of God. How? Torah students represent religion for all to see. The general public appreciates the virtue of religion according to the moral of its representatives:Torah students of good character are respectful of the Torah. However, Torah scholars who are not good people evoke a negative attitude not only towards themselves, but mainly towards the Torah which they supposedly represent, and this is the body of blasphemy. Here I’d also like to discuss and point out not necessarily in a bad or critical manner, that we must be aware that we have an important responsibility. We are the showcase of faith in God and in Yeshua the Messiah. We are actually a walking advertisement, and when you see us and our lives for the better – we advertise God for good;we enlighten the faith in a positive light. A final thought on light, in order to illuminate, a ray of light must be reflected from any given surface. In other words, we cannot illuminate an empty space at night. If we aim our flashlight at the sky, it will not succeed in lighting up our path. But a flashlight that shines on a particular surface such as a wall, will reflect the light from it and illuminate the way for us. This is precisely what Yeshua asks us to be, reflectors of light. This is in order so that the light of the Torah and of the gospel will open our way so that we can illuminate the way of the King, the straight path. We wish all families, communities, and the people of Israel a happy and blessed holiday!